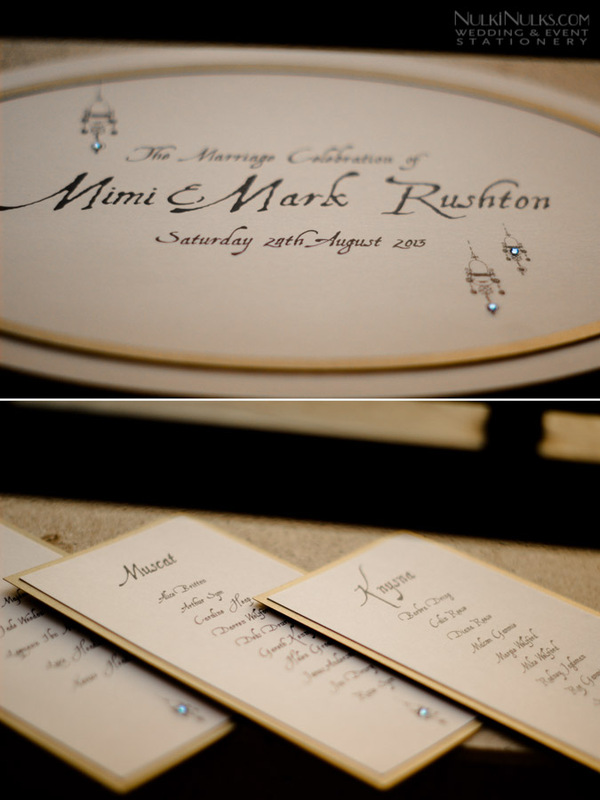 Mimi and Mark are a London-based couple, who decided to get wed in Dordogne, France. 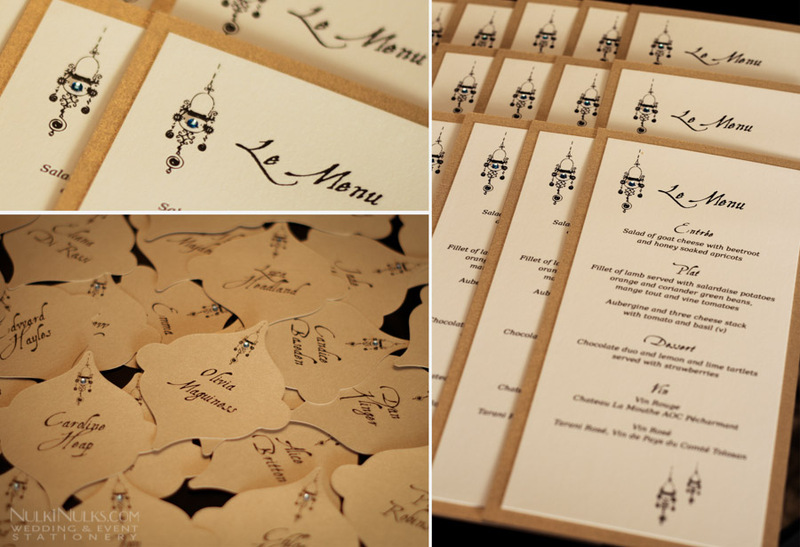 Mimi contacted us nearly a year prior to their August 2013 Destination Wedding, to make sure all their guests knew well in advance of their plans. 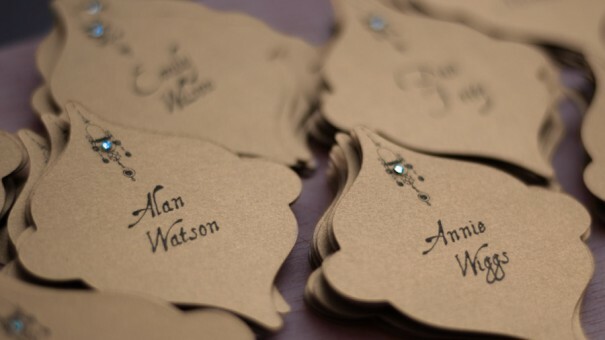 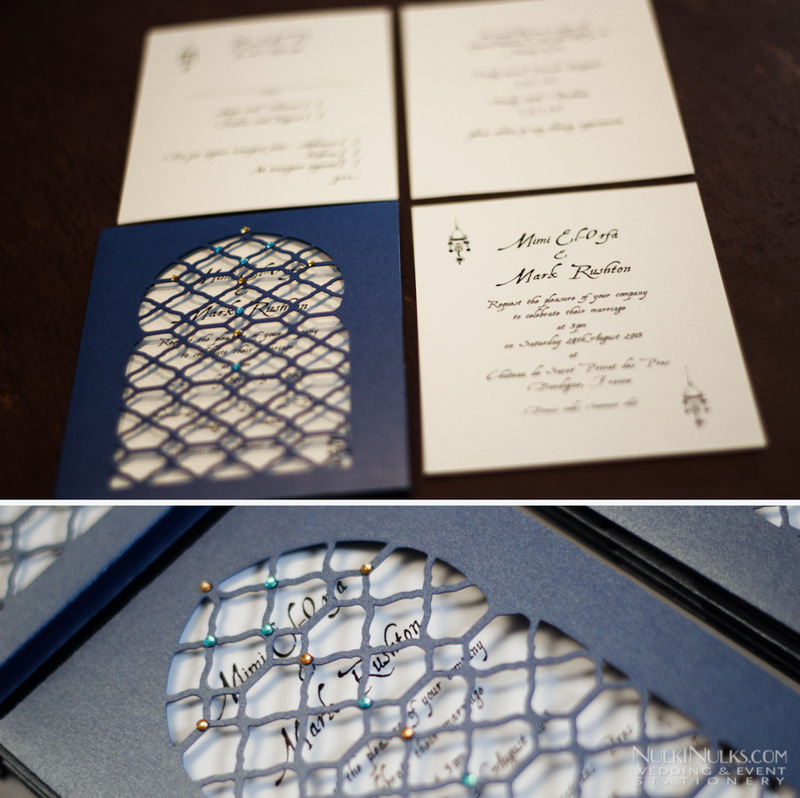 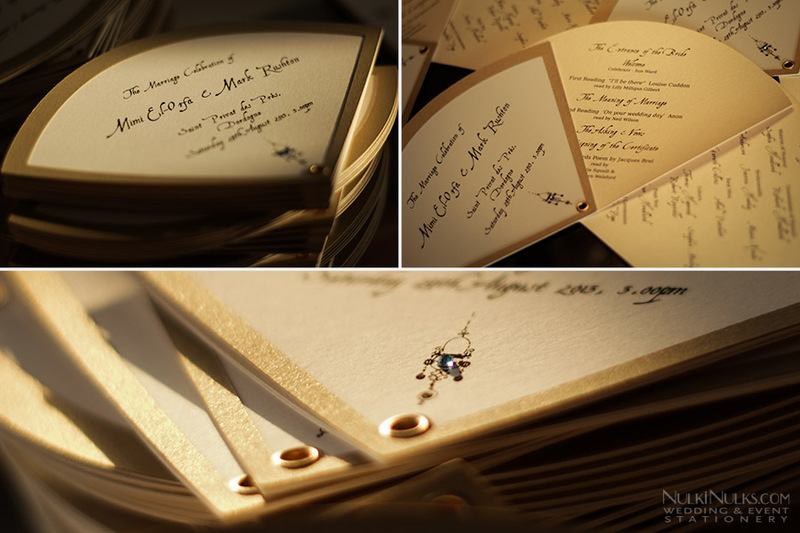 We started with Save the Date cards, followed by the formal Invitation and concluded with ‘On the Day ‘ stationery. 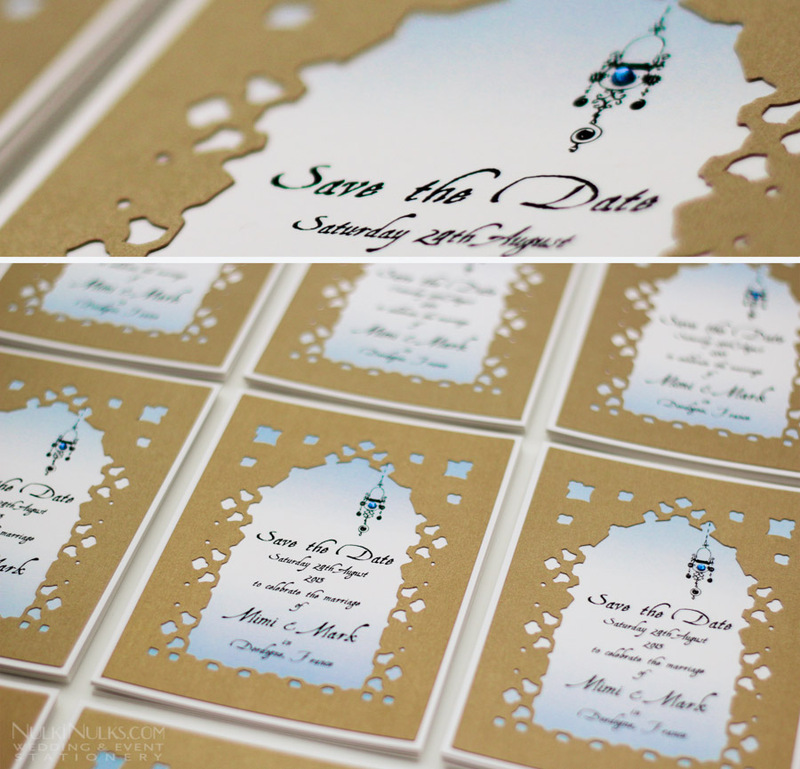 We worked with a colour palette of Blue and Gold and kept the touch of Morocco throughout!